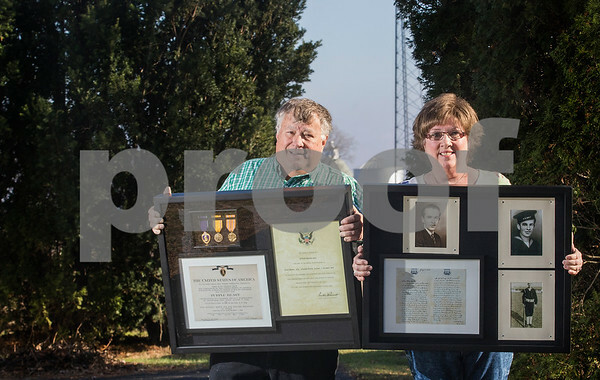 Jim and Deanna Glass, of Genoa, with the help of family members recently finished two shadow boxes with medals, photos, and artifacts, of Jim's uncle Willard Aves, the first DeKalb County casuality in World War II. Aves was a Navy shipman and aboard the U.S.S. Arizona when it was bombed in Pearl Harbor on December 7, 1941. The shadow boxes will be displayed at the American Legion post named after Willard Aves in Kingston.